Hello There! 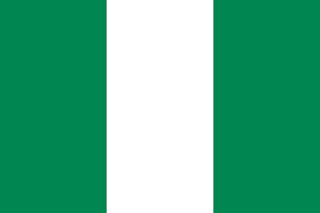 Welcome to Nemerulez' Blog: HAPPY 56TH ANNIVERSARY TO MY COUNTRY, NIGERIA! Happy 56th anniversary to my country, Nigeria. Thank GOD for HIS mercies thus far. The truth is Nigeria still has a very long way to go and that change we are all clamouring for begins with you and I. If we all claim to be good, I see no reason why Nigeria shouldn't get better than where she is now. We are not true and good to ourselves; why do we think that only one man can bring the CHANGE that this country truly deserves! A true Christian or Muslim will surely make a good citizen, but how many of us are true worshippers of this true GOD? Why not become the change that you seek! Your friend becomes rich and treats you like trash, forgets where he or she is coming from. But if we begin that change from our immediate environment, we will begin to experience a new and better Nigeria! I pray that GOD helps us all to truly have the love in our hearts to be good to one another and as such be GOOD CITIZENS of this great country! LONG LIVE NIGERIA! Happy 56th birthday!